Effortless to apply, movable, and more versatile than traditional dry erase boards, the BodyPartChart dry erase board will stick to most smooth surfaces and will keep your establishment looking professional, clean, and at its very best. Made of high quality vinyl with a low tack, self adhesive backing, installation is simplified and walls are saved from unsightly damage caused by screws and nails. There is no need to go through the rigorous undertaking of mounting this board - just peel, stick, apply, and enjoy! 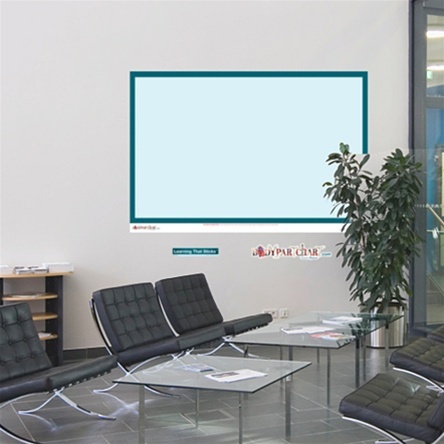 Perfect for exam rooms, reception areas, recovery areas, conference rooms, and anywhere else where there is a need to quickly communicate valuable information, BodyPartChart dry erase boards allow one to publish and change messages for staff and patients to keep them informed of the latest developments. Posting of information is not only good practice, in many cases it is mandatory. Doctors and nurses rely on accurate patient information when entering a room. Communicating a risk or warning to the staff regarding the patient is vitally important. In some situations, it could save a life. Whether posting directives, instructions, procedural explanations or mandatory notices, clear, properly delivered information increases compliance and eliminates confusion. BodyPartChart - communication that sticks!